In one 10 min. contract talk, I went from Princess to Gargoyle while I was still an ingénue. That was a defining moment in my career and how I handled it made the world of difference to the longevity of my career and reputation! Along with basic, solid advice about the entertainment business, I will impart techniques, recommendations and valuable information for educators & young students to enhance their skill set and provide themselves with a long, fulfilling career and a stellar reputation. Networking: A Fancy Word for Making & Keeping Friends! I always say, “There are only 12 people in this business, so do your best to not burn those bridges!” In this workshop, I will transform ‘networking’ from a dirty word into your best asset in this business! I will share key components of successful networking, easy techniques as well as well-tested advice. This workshop can be specifically targeted for any audience or all. Your inability or aversion to networking could cost you a gig, your dream role or a chance for career advancement…so don’t shy away! Networking is your friend! I've made my own audition mistakes over the past 33 years, but it doesn't mean you have to too. This workshop is the chance for you to learn from other people's mistakes & benefit from their advice! You will learn how to properly & professionally prepare yourself prior to your audition and how to SHOW UP in the room! You want to be THE person who makes it the room where it happens! Once you've learned all about audition prep & have chosen the perfect material suited for you, this is your chance to SHINE! This will be exactly like a regular audition, but you'll benefit from great constructive criticism & positive feedback after. This is meant to be FUN and an amazing experience. 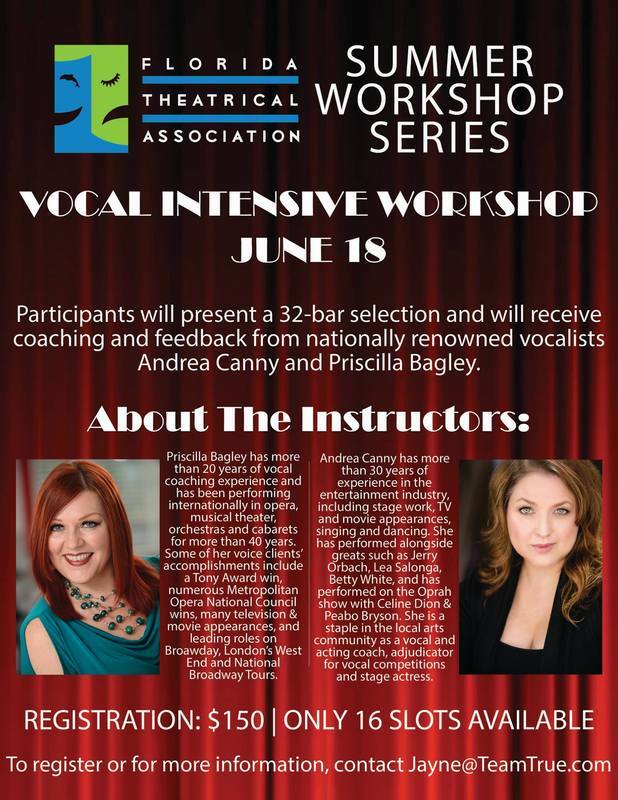 You'll leave the workshop feeling like you're ready for any audition experience! The Biz of the Biz! Why try to guess what the DO's & DON'Ts are in this tricky business? Learn from the wisdom I've collected from colleagues & my own decades of experience.